Love the background Tracy - FAB card. I know what you mean about the colours though! LOL! Very pretty card Tracy! 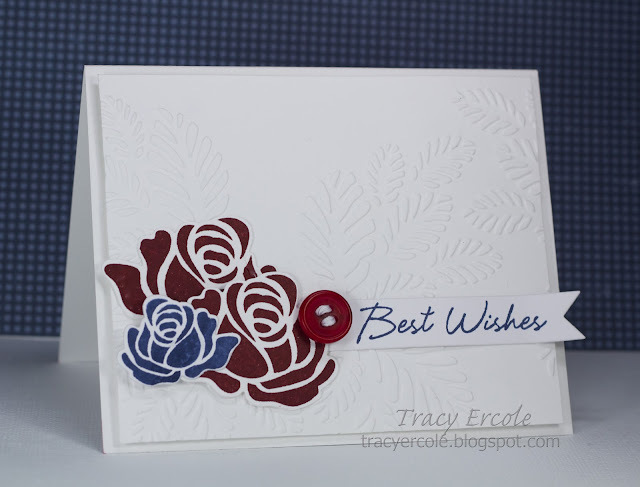 Love those flowers and the dry embossing! 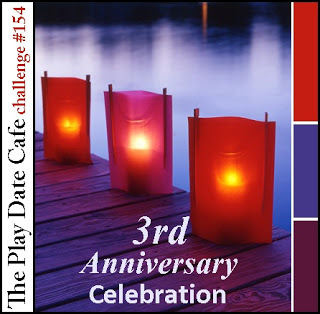 Thanks for playing with us this week at The Play Date Cafe. I love the background embossing, it's really beautiful. Thanks for playing along with us at The Play Date Cafe! Awesome stamping! Thanks for joining us at The Play Date Cafe!